As much as we look forward to spending some quality time with the kids on school holidays, the constant "I'm bored" echo can make even the most patient of parents ready to send the troops back to school. To be sure you survive the fortnight with smiles all around send the kids outdoors with these genius activities. If your kids haven't already heard of geocaching, then expect some serious kudos when you introduce them to this popular past time. Like the ultimate treasure hunt, geocaching involves hunting for "caches" (hidden containers) at a particular navigational point. Caches are hidden all over the world and once you find one, you add your name to the logbook inside the cache and trade some goodies hiding inside. Not only is this an active pursuit as you hunt through a city, park or reserve for a cache, but you've got to use your mind to navigate to the particular spot. Get started by downloading the Geocache app from the App Store, creating an account and finding a list of caches near you. With a trinket or keepsake in hand, follow the arrow on your phone's GPS to discover the hidden cache, which could be any colour, shape or size. Swap your trinket for something in the cache, log your details then replace it exactly where you found it, ready for the next geocacher to find. Put aside the thought of black fingernails and dirty footprints and give in to your kids' love of digging in dirt. And given studies show that gardening improves life satisfaction and body mass index, while reducing the risk of depression and anxiety, it's a wonderful activity to introduce children to. 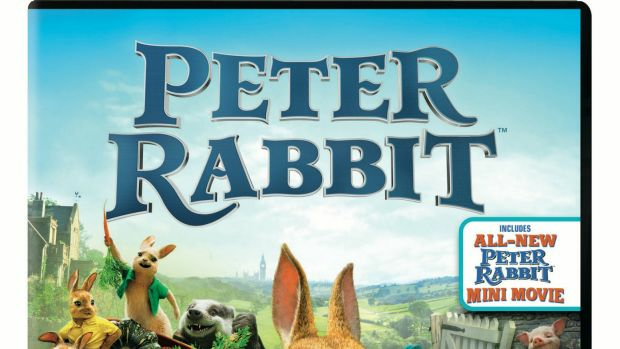 If you live in Sydney, your gardening foray can begin with good coffee, since The Grounds of Alexandria are hosting free Gardening with Peter Rabbit workshops for kids (and parents) these holidays. Grab yourself a flat white, then follow your kids into the lush Atrium for workshops on gardening basics, how to plant seeds and care for vegetables. Wander The Grounds while you're there for some inspiration for a new garden at home or pot on the balcony. Follow it up with a trip to the nursery to stock up on greenery before an afternoon of garden designing, planting and mulching. Whether your kids are into succulents or want to grow their own vegetables, indulging their green thumb will provide hours of entertainment. Kids who love a challenge won't be able to resist slacklining, where you connect a flat "slack line" between trees or poles and attempt to walk across it. Slacklines are made from webbing that stretches and bounces like a rubber band. Once you've nailed walking across at a low height (no easy feat) you can gradually progress to longer lengths or to doing tricks. 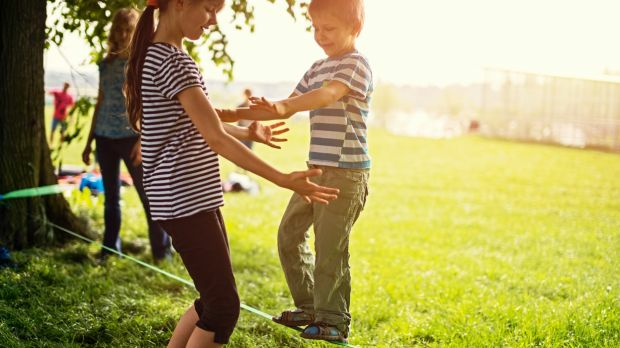 Kids can begin their slacklining foray with some professional lessons, or muck around on their own, making sure the slackline is not too high or long. It's best to do it with a friend to begin with, holding onto one shoulder for support. Your troops will be surprised by how quickly they advance and will soon want to rig up their slackline in all sorts of cool places. Not only does horse riding offer a chance for kids to get up close with majestic animals and get a dose of fresh air, but research suggests that horse riding may even improve children's memory, learning and problem solving. When Japanese scientists tested kids before and after riding a horse, they found that they performed better on behavioural tests, which the researchers put down to vibrations from the horse. A pony ride is one option, but the real magic happens at a riding school that takes in a nature walk. Whether traversing a windswept beach, trotting through a forest or meandering about a farm, you and the kids will enjoy some exercise, skills and animal interaction. Kick off a crafternoon by turning 10 matching plastic bottles into a ten-pin bowling set. Get started by removing the labels off 10 old soft drink or water bottles and cleaning them thoroughly. Squirt paint (use one that's quite thick and specially formulated for plastic) into the bottle, replace the cap and shake thoroughly until the paint covers the entire interior – you can use one single colour or go for a multi-coloured look, depending on your kids' preferences (or what supplies you have on hand). Remove the caps and pour out any excess liquid and leave the bottles (lid off) to dry overnight, then put the caps back on, arrange them in a triangle and use a ball to see who can get a strike or spare.